We are a passionate lot over here at PBB Media.. and we are passionate about many things. Most (but not all!) of these topics can be placed in 5 main areas: Pregnancy, Birth, Parenting, Community and Women's Wellbeing. We cover, collect & curate some of the latest in evidence-based research, long-held traditions and inspiring new ideas. Providing a platform through Live to Air Radio + Podcasting alongside Local Events for impassioned speakers we bridge and bring closer information that can otherwise take years to reach public domain. We gather this information through real-life stories and interviews with community members (people living on this planet) & leading practitioners in their field locally and around the globe. We share this information through several platforms: Live Radio, Podcasting, Local Events, Film Screenings & online. At Pregnancy, Birth & Beyond Media, we are most passionate about..
Pre-conception, conception and Pregnancy are a once in a lifetime opportunity to provide your child with the best foundations for optimal development. Recognising this, we explore the various ways in which you can support the development of a strong, healthy & bonded individual to come into the world. Birth is one of the most important topics we cover through the Pregnancy, Birth & Beyond Media platforms. There is a very simple reason for this. The lifelong emotional & physiological impact of childbirth on the child being born, its parents and its community is profound. Science & stories are proving this every day. We cover aspects such as Continuity of Care, Undisturbed Birth, Baby Friendly Hospitals, Consumer Representation, Human Rights in Childbirth and more. We provide the stories from families, the evidence from research and the ‘tested in the field’ results to back the information we provide. From Fatherhood to Becoming Grandmother, Teens & Young Adults, Mixed Families, the various Parenting Styles, living rural & in cities, Education and of course Motherhood, we aim for a broad coverage of issues facing families today. We hear stories from fathers telling of the great joys of becoming a parent and the importance of brotherhood as they walk this new path; we hear from women as they stride the transition from being a mother to becoming grandmother; we listen with care when a mother shares of her joys and challenges facing breastfeeding or raising teens, running a household, working and the importance of self care and listening to her inner voice; we hear when experts explain of the relevance of rites of passage and healthy role models for our teens as they navigate becoming adults in our modern world. ​So many topics to discover under the banner of Parenting & Family. 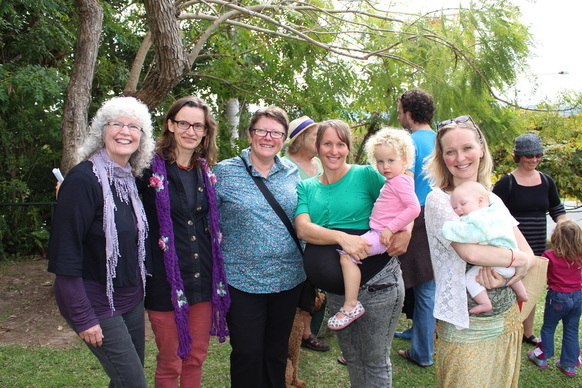 Lovely ladies at the community led rally to reopen the Murwillumbah birth centre. "Humans are social creatures.." How many times have you heard that being tossed around? But what does it mean and are we paying attention? Sure, we all love to hang with our friends or have a beer after work, go to a concert or enjoy a BBQ. More acutely though, we all need to be able to support and be supported. A recent finding from the decades long (almost 80 years long!) 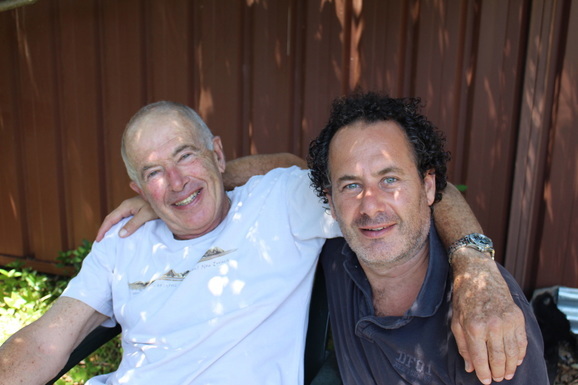 research program - Study of Adult Development conducted by Harvard researchers, found that people who lived long and healthy lives were those who had healthy close relationships and were able to take care of others and rely on the support of their close connections. 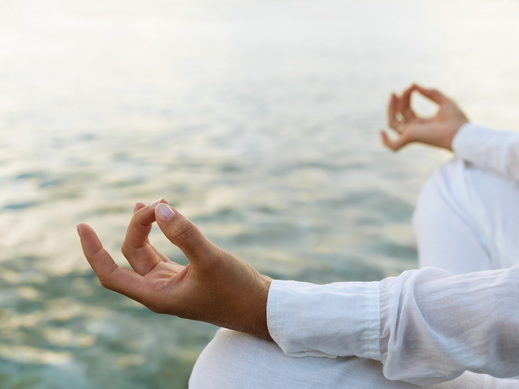 The Blue Zones outlines community and sustainable living as part of the Power 9 created by a team of medical researchers, anthropologists, demographers, and epidemiologists to search for evidence-based common denominators among all places where centenarians lived longest and healthiest. "The world’s longest lived people chose–or were born into–social circles that supported healthy behaviours". ​But we don't need a recent scientific finding to tell us that we are social creatures or that we need support and need to take care of one another. We can see it in our very nature. Humans have been interacting and living with one another from the beginning of humans! We can see it in our everyday lives in the positive pictures painted from healthy children to committed fathers and in the less positive images of depressed mothers and antisocial young adults. The same storyline goes for sustainable living. Under this banner we cover many topics such as self-care; breaking the silence; pregnancies and miscarriage, women's rites of passage; integrated birth stories - traumatic and joyful; parenting, mothering; being a daughter; relationships; physical and emotional wellbeing and so much more. We find that there is a continuous unveiling of matters that inform, impact and drive the women in our community and we are grateful to the women and their families that open up to us in full-spectrum and we are always honoured to be able to share these stories with you. Each week we publish a new show, discussing the array of topics under these banners. You can find us on iTunes, Spreaker & on the Radio. 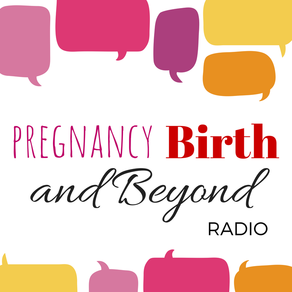 Check out our weekly Live to Air radio show, Pregnancy, Birth & Beyond on 99.9 BayFM in the Northern Rivers Australia, or via the Community Radio Network (Australia only).